This course teaches the author to have pride in one's self and work, which verifies the productivity and perfection that is needed for success. When speaking with other authors, I'm always amazed at their reluctance to embrace social media and marketing. After spending so much time writing, editing and preparing a book - getting it ready for the marketplace. In today's market the responsibility for marketing has fallen to the author. Public Relations may be even more important. Having a degree in journalism (advertising and public relations, specifically), I find myself way ahead of the curve on this one. Still I'm always looking for more ideas and ways to tweak the ones I already incorporate. We all pick up bits and pieces to the marketing puzzle from different sources. Elizabeth has taken so many pieces and put them together with clarity for any author (or other professional) from novice to expert. She's clearly outlined the steps to take and has provided course manuals to help you really apply all the very practical information she shares. Well worth the investment of your time and resources. Has served the book publishing industry since 2015 as a professional editor and publicist; in 2016 established Polish Point Editing. Experienced media relations professional. She has been interviewed and quoted in newspapers, magazines and radio shows internationally; television shows regionally. Elizabeth Garrett is uniquely qualified as an experienced public relations professional, who is immersed in the book industry, to help you understand the role public relations plays in building your fan base. Public relations is an essential and easy to learn skill, which allows modern writers to build a strong foundation for promoting and marketing their books in a competitive and dynamic marketplace. 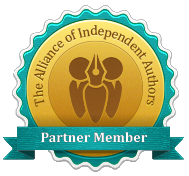 Writers who want to break through the marketplace noise and establish a strong foundation for promoting their books. Writers who desire to make the most out of their time and financial resources spent on book promotions. If you are one of these, then you will benefit the most from this practical short course. Most authors don’t understand the overall landscape for book promotions. Bombarded with information, they struggle with which ways are the best to impact sales. This course provides the solution. You will greatly increase the chances of creating a real income from book promotions. This online course will give you the knowledge you need to understand laying a strong foundation for sustainable promotions and marketing, fast. Key factors in maintaining and growing your support network. To help you get the most out of time and money spent on book promotions. On average, most books sell fewer than 150 copies. We want you to far exceed the average. Public relations is the foundation for building a strong marketing platform. Your course leader has been practicing public relations and marketing for thirty years.